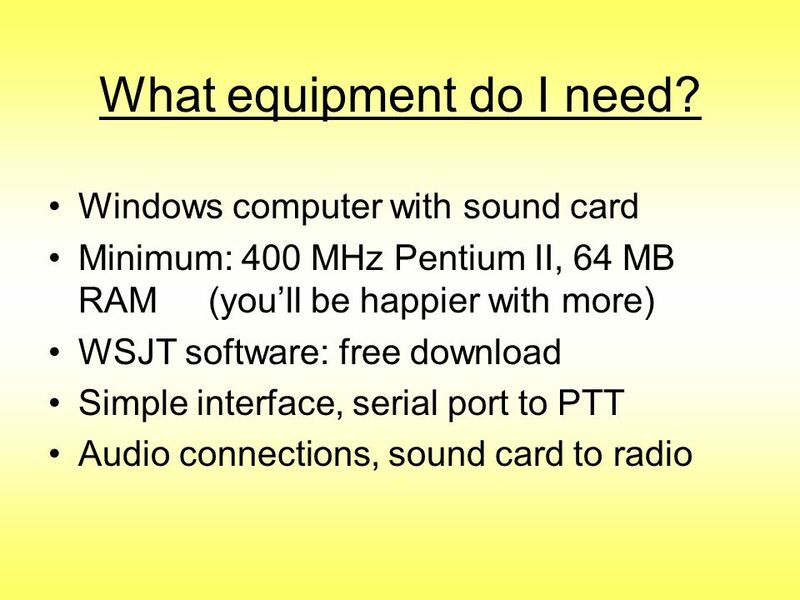 13 What equipment do I need? 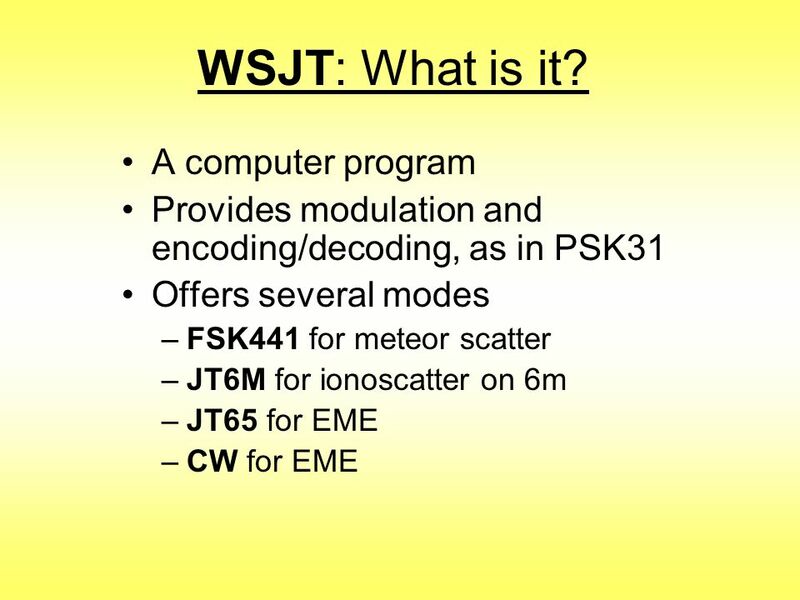 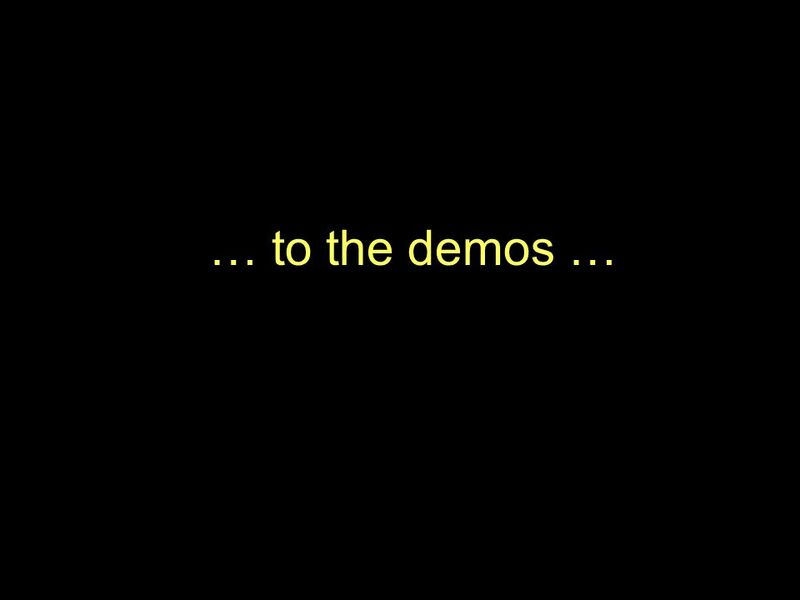 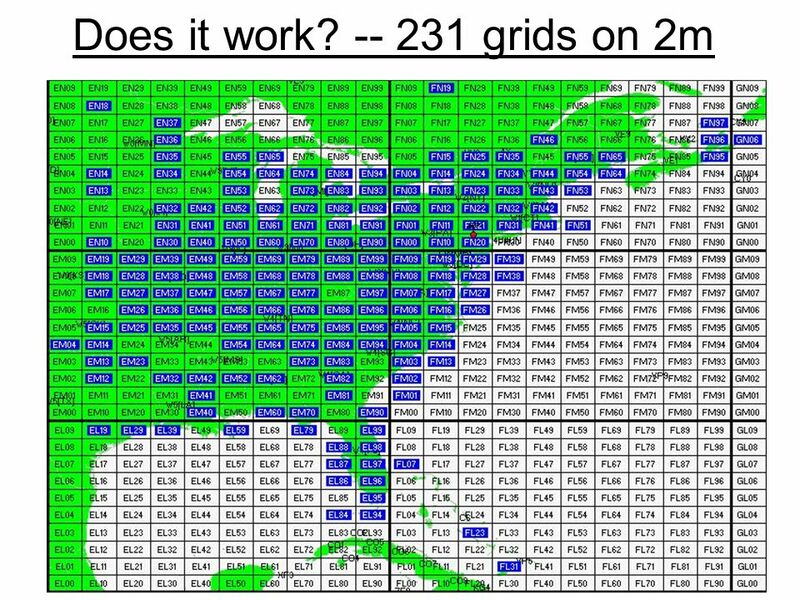 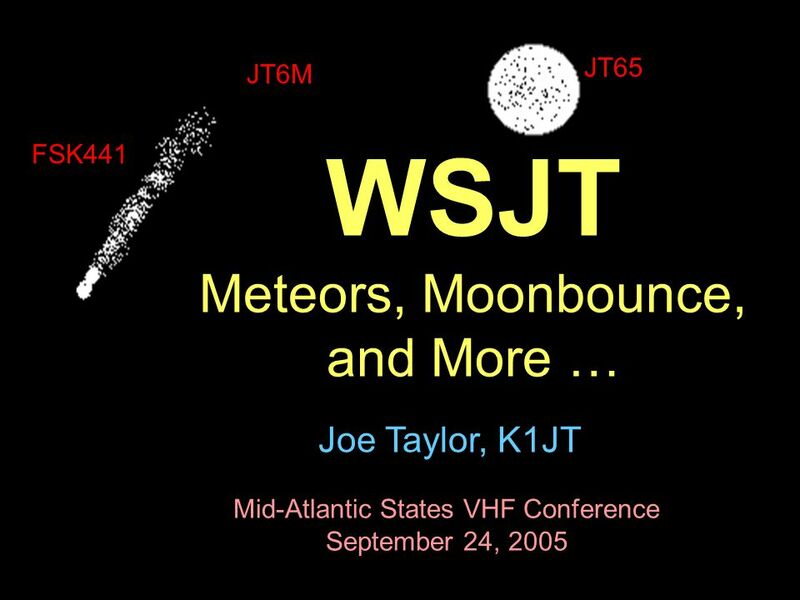 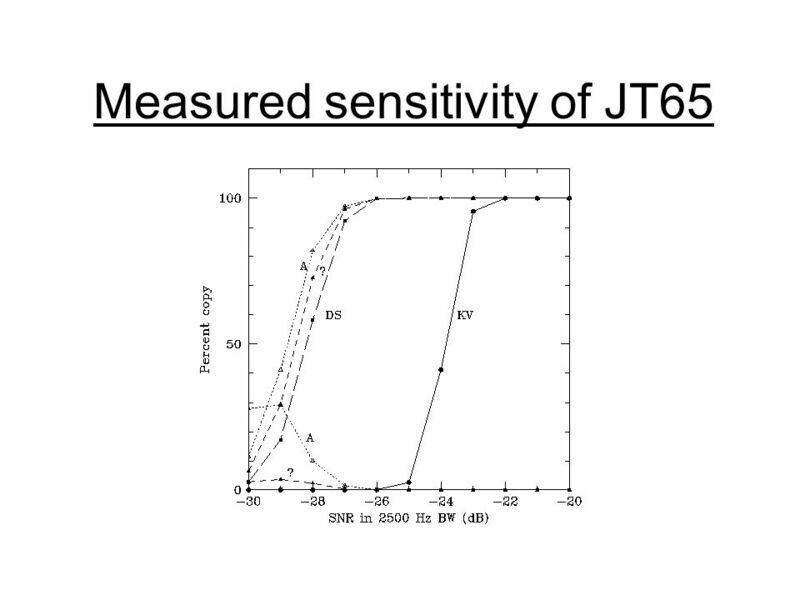 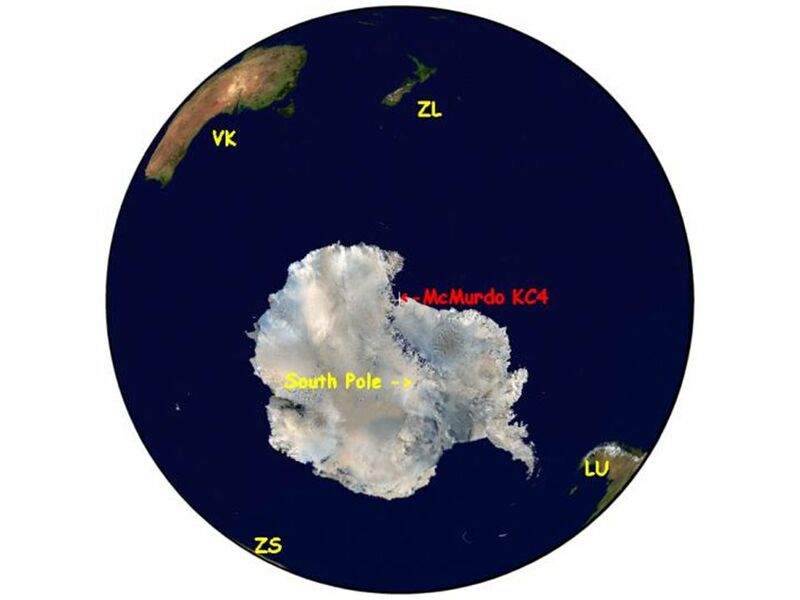 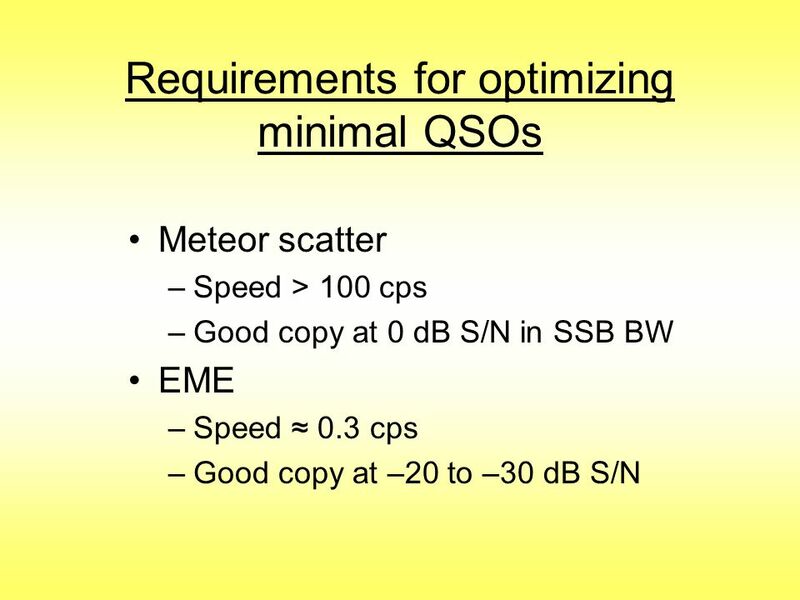 Download ppt "WSJT Meteors, Moonbounce, and More …"
By John Bartos, AB3LZ. 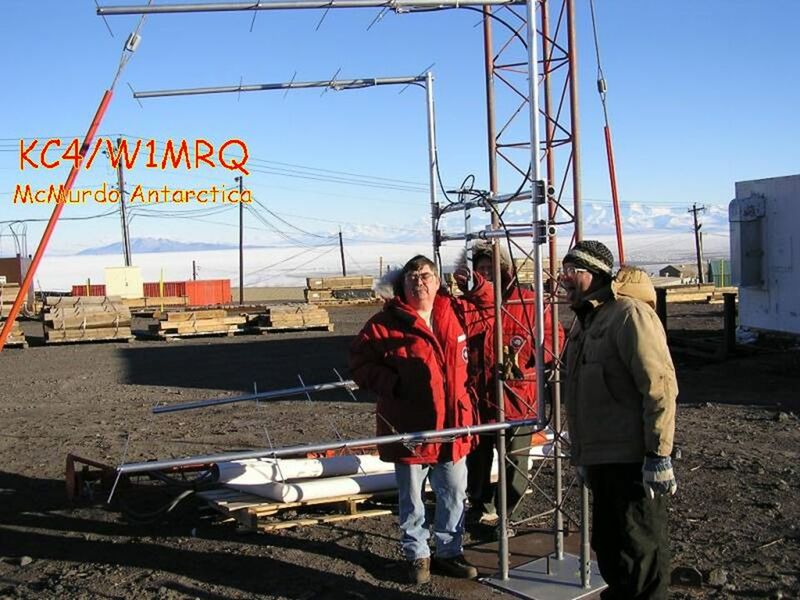 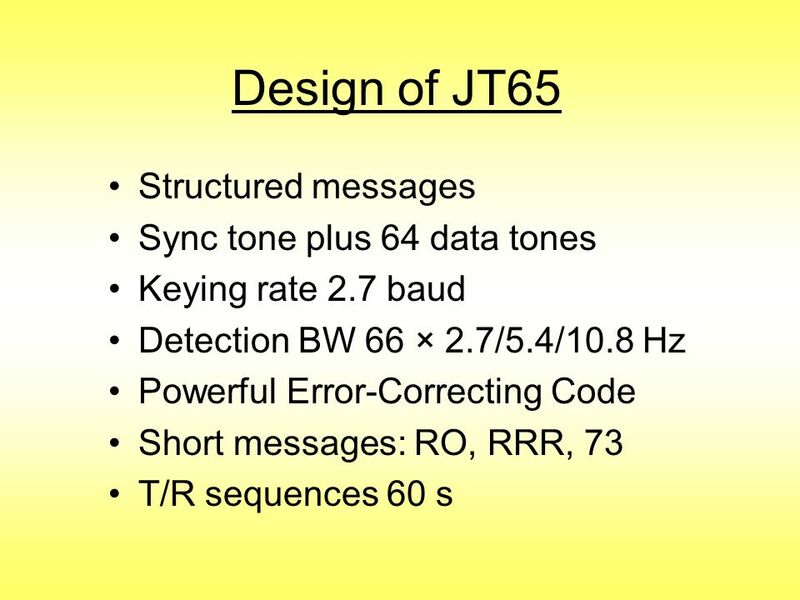 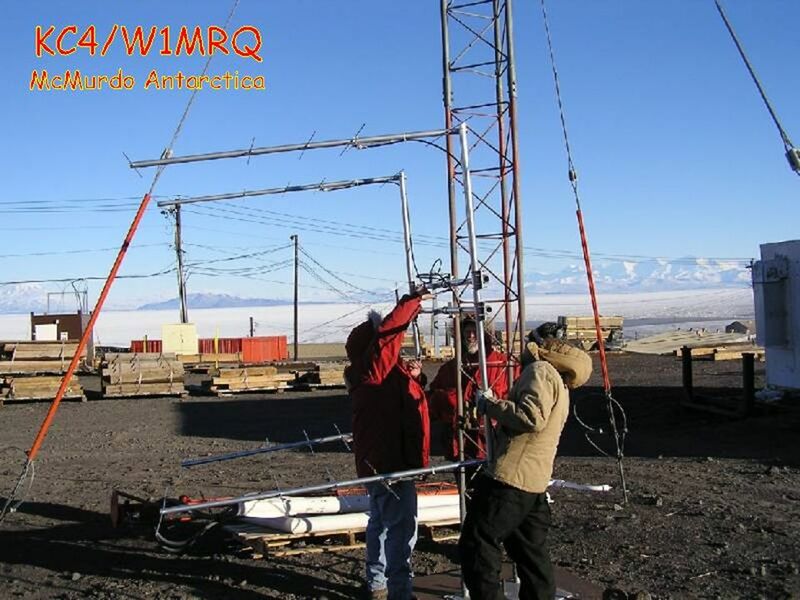 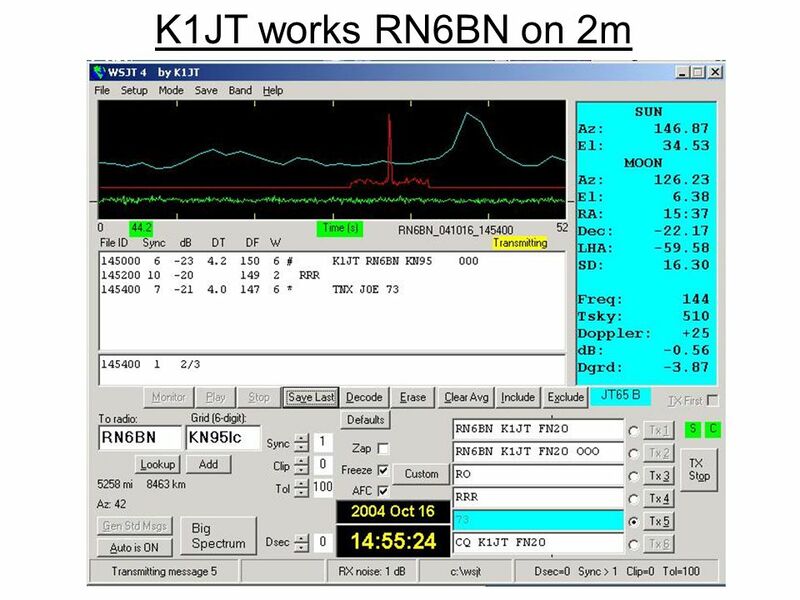 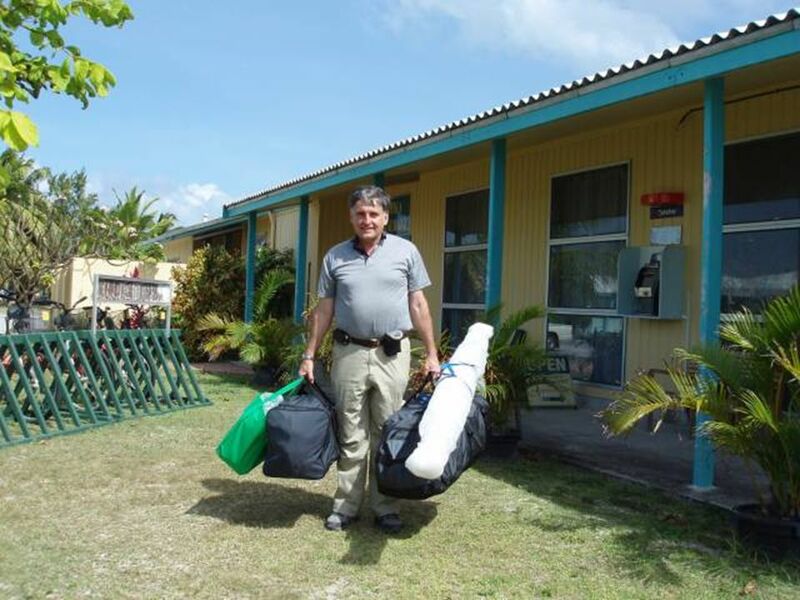 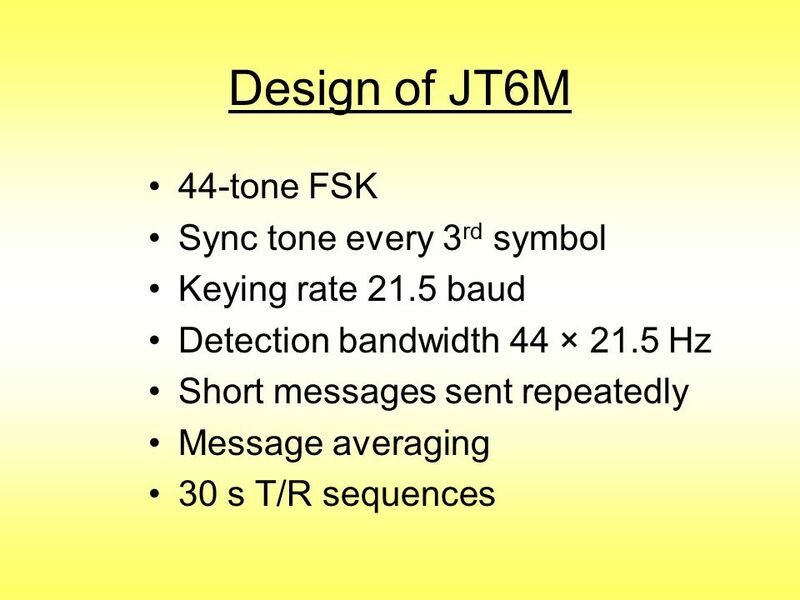 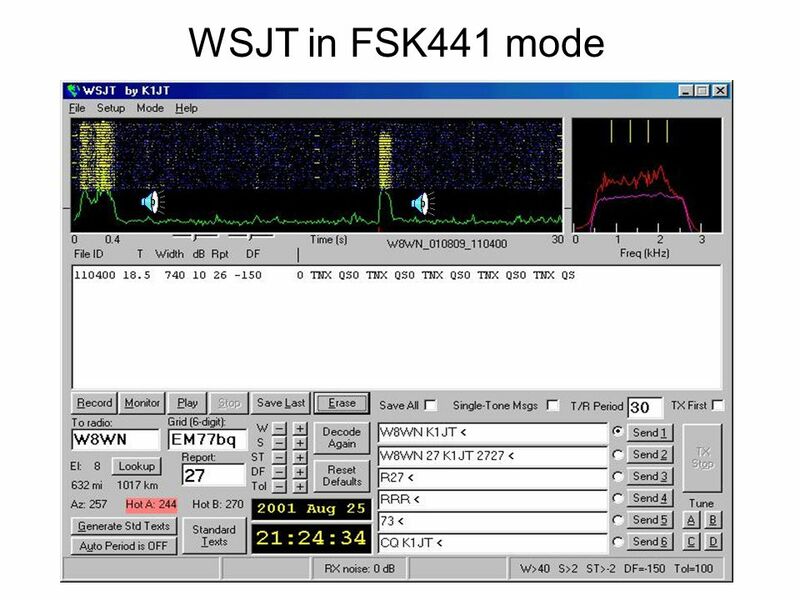 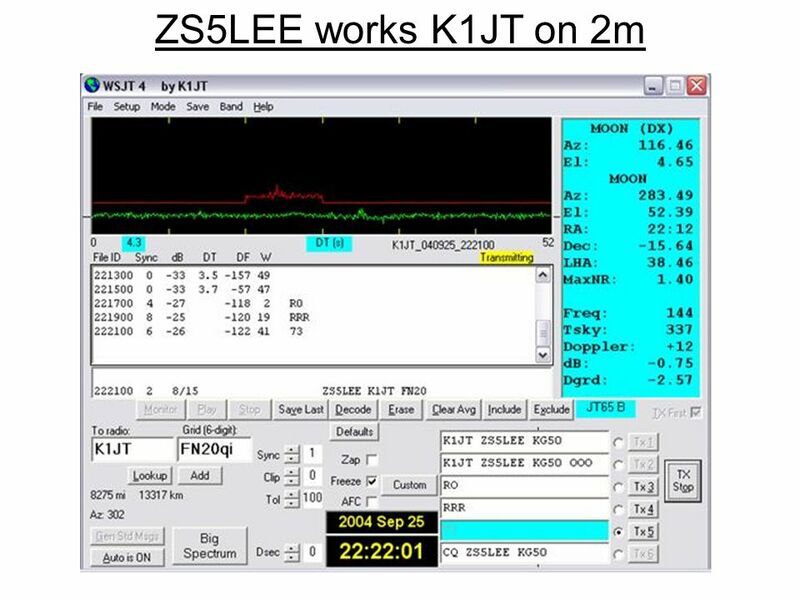  A form of digital communications originally developed by Joe Taylor, K1JT, for Moon-bounce (EME) applications where signals are. 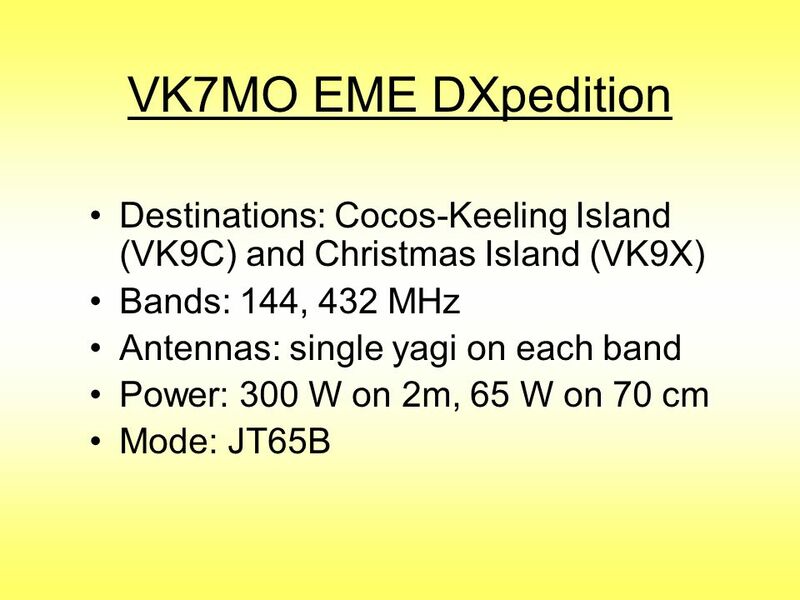 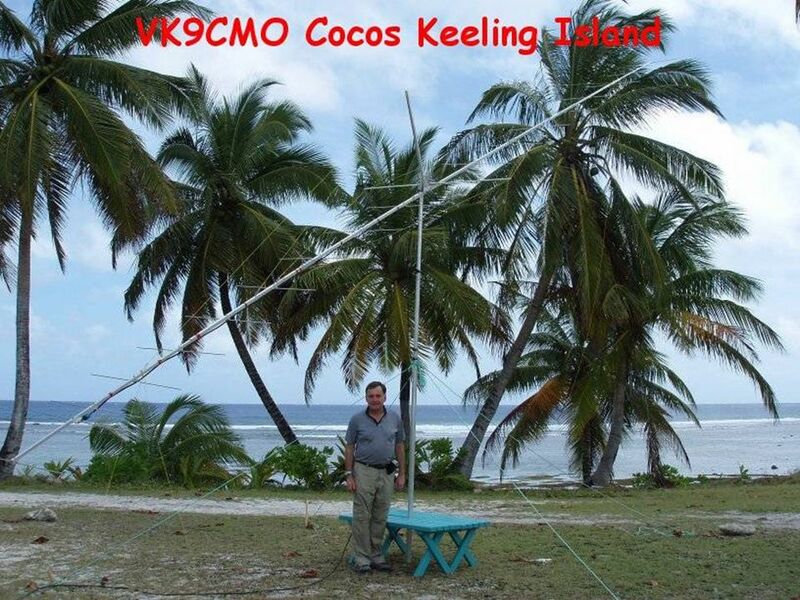 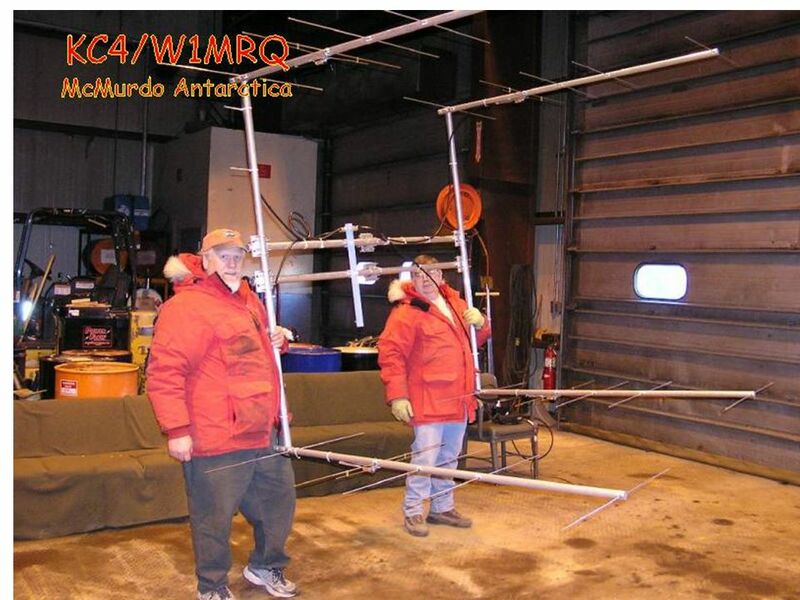 Emcomm and Digital Modes Tuck Watkins, W6TUK Michael Radovancevich, KI6JPH. 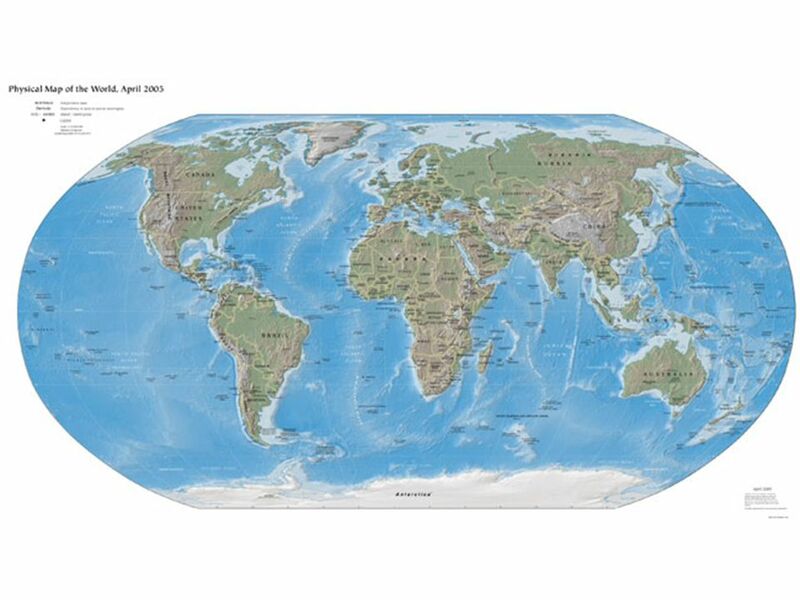 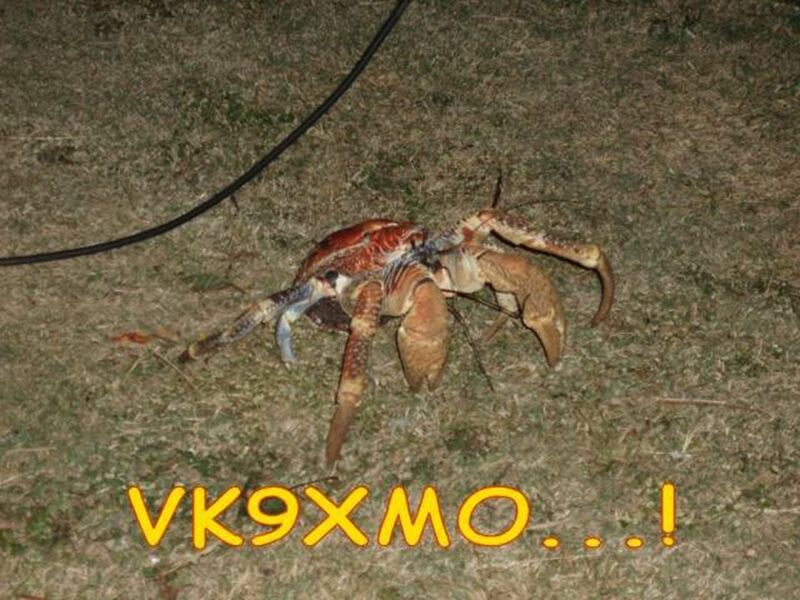 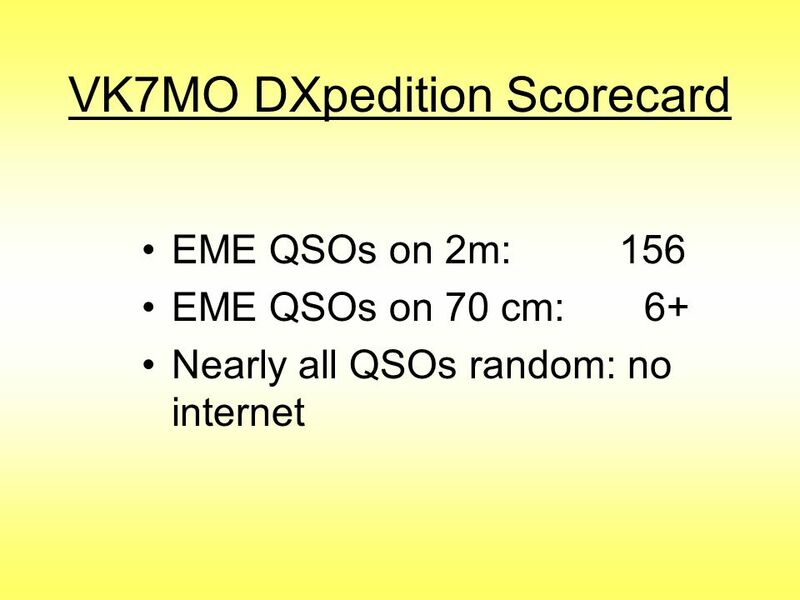 6dB Better than CW Weak Signal Modes on the Microwave Bands Andy Talbot G4JNT/G8IMR. 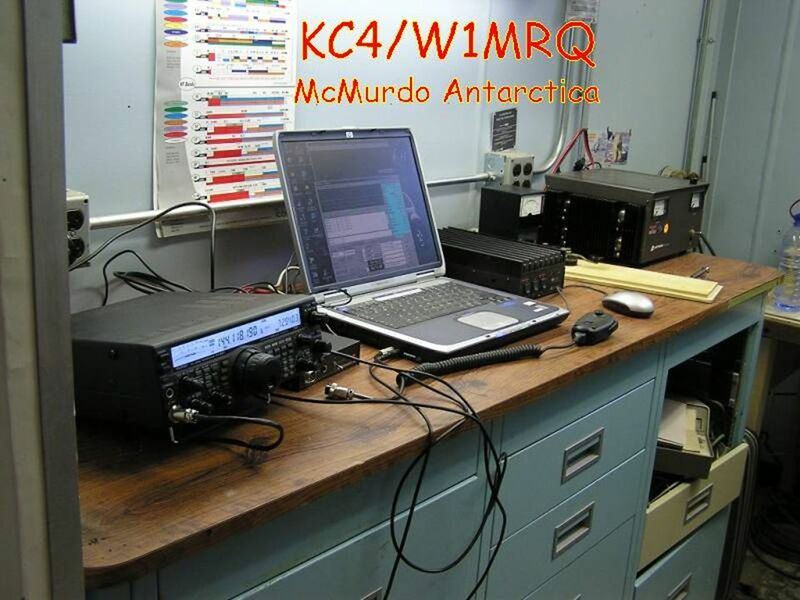 Copyright 2010 Fred Cunningham K1FC1 REVERSE BEACONING and WSPR. 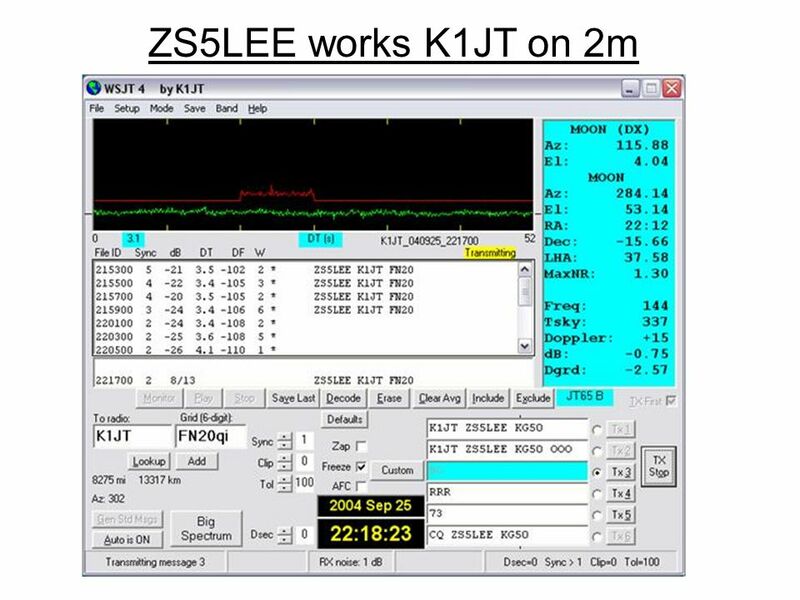 PSK31 A Basic Application By James C. Hall WB4YDL Reelfoot Amateur Radio Club April 22, 2004. 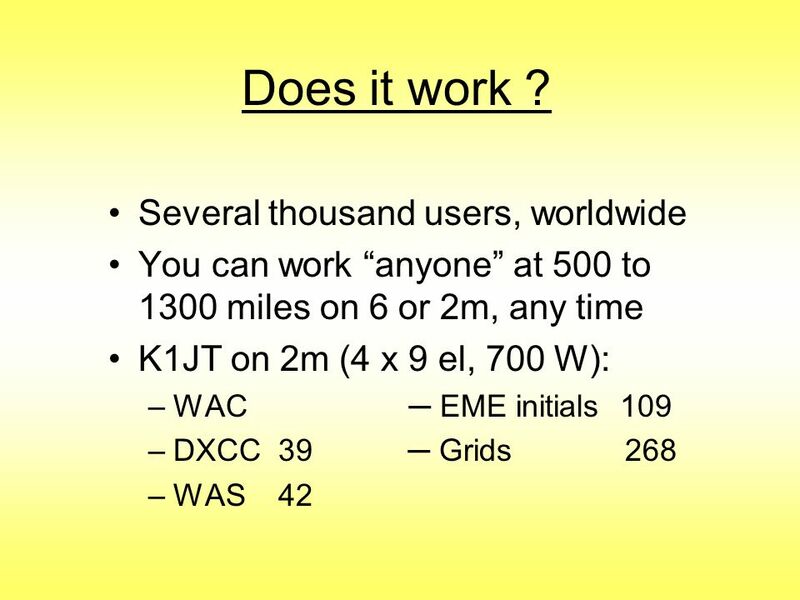  GBRA 5 WEEK TECHNICIAN LICENSE CLASS - WEEK 2 OPERATING MODES Ham’sAreRadioactive! 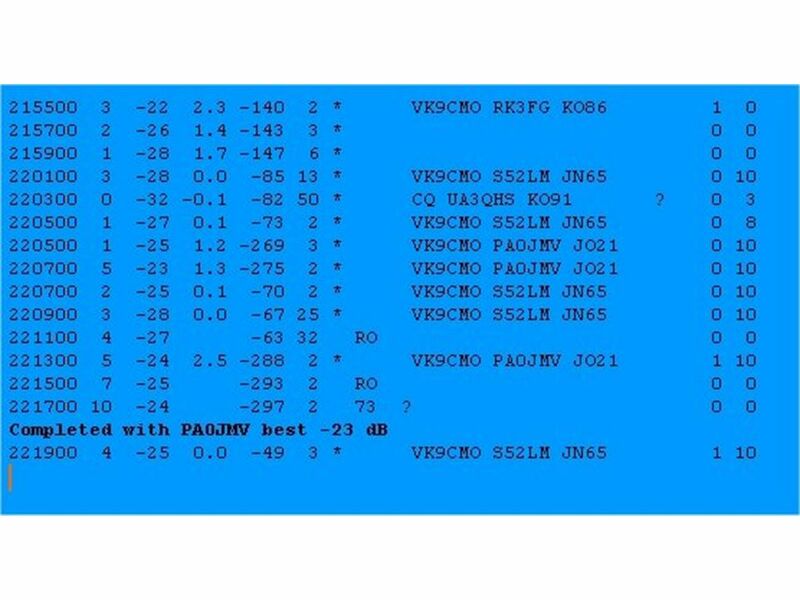 Digital to Analog Many carrier facilities are analog Many transmission media are also analog (microwave, radio) We can carry digital values over analog. 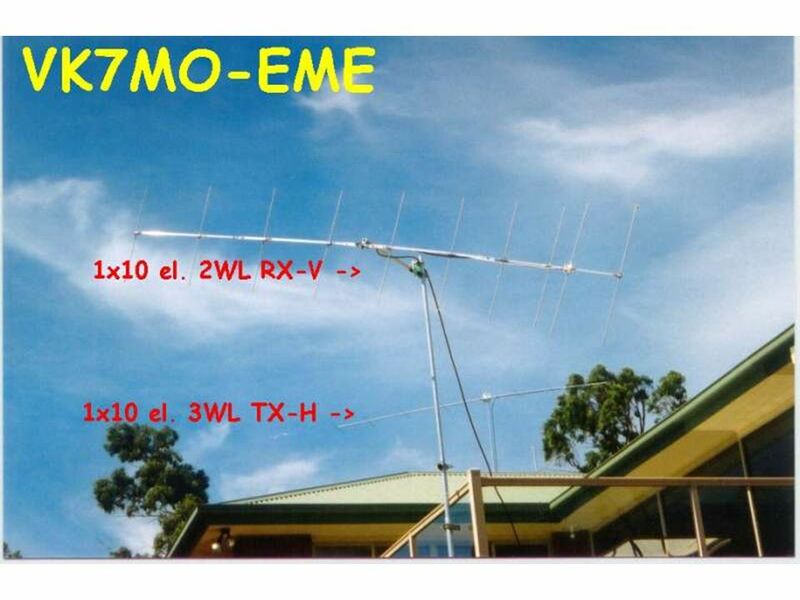 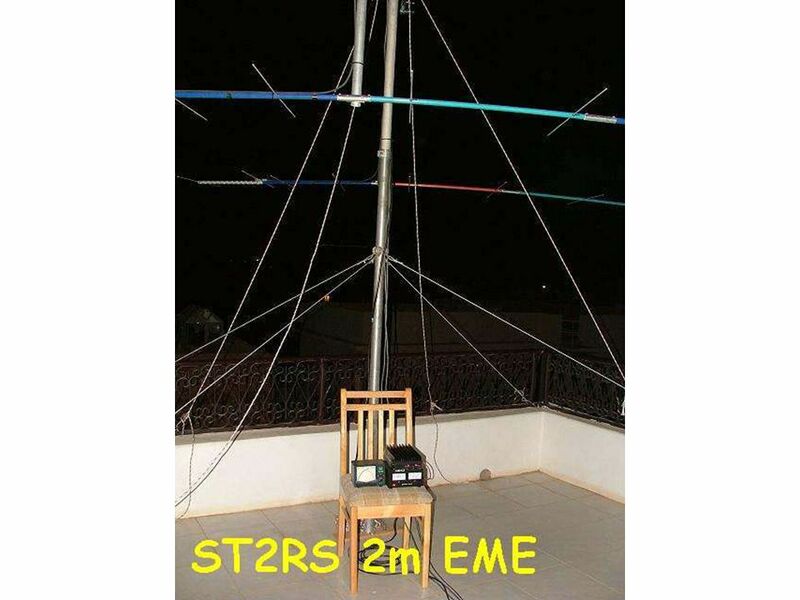 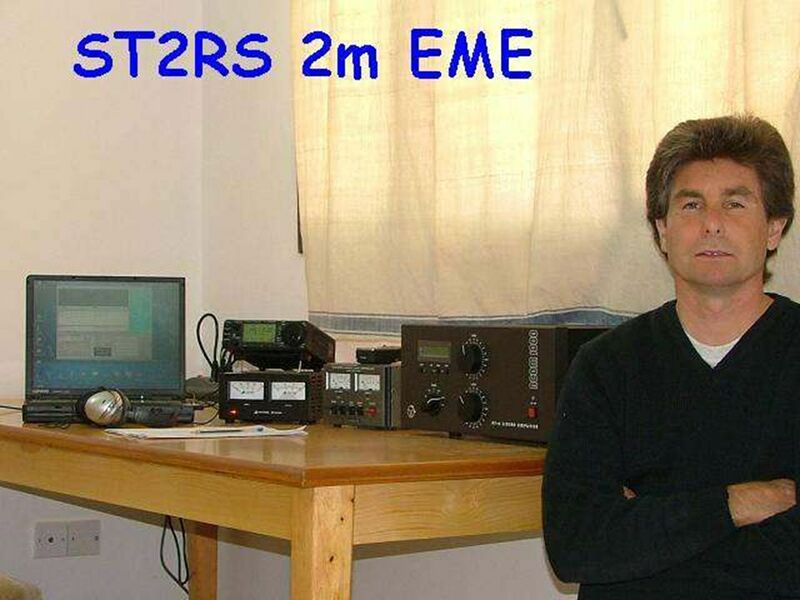 SMALL STATION EME ON 70 AND 23 CM USING JT44 BY AL, K2UYH. 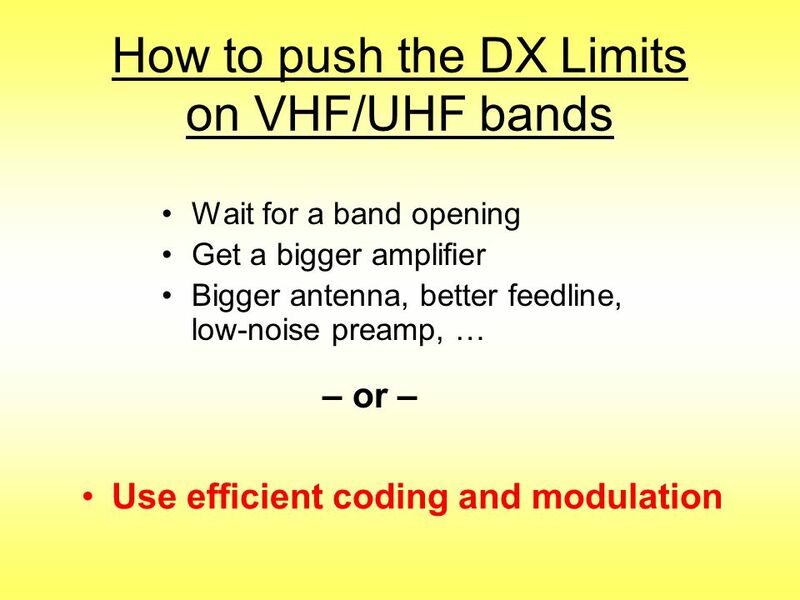 Digital Modes There are lots of Digital Modes. 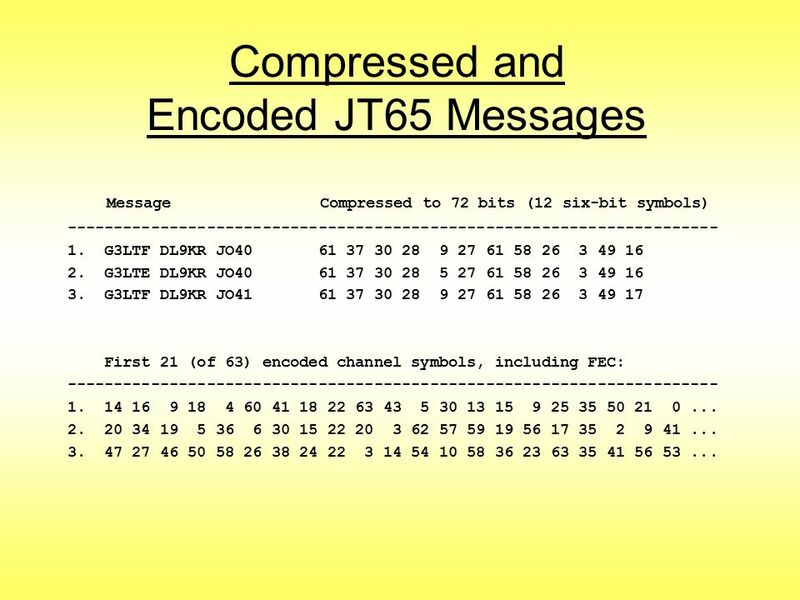 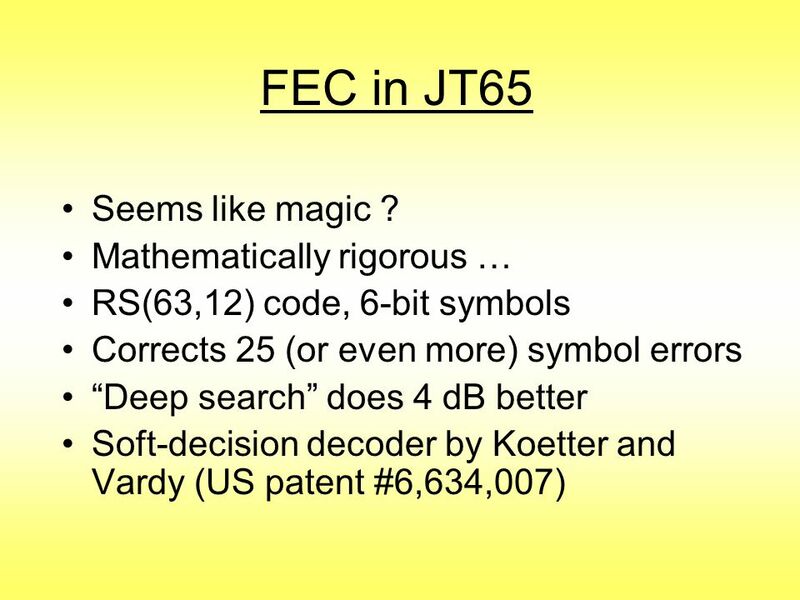 The oldest is RTTY (teletype - in this case it is Radio Teletype). 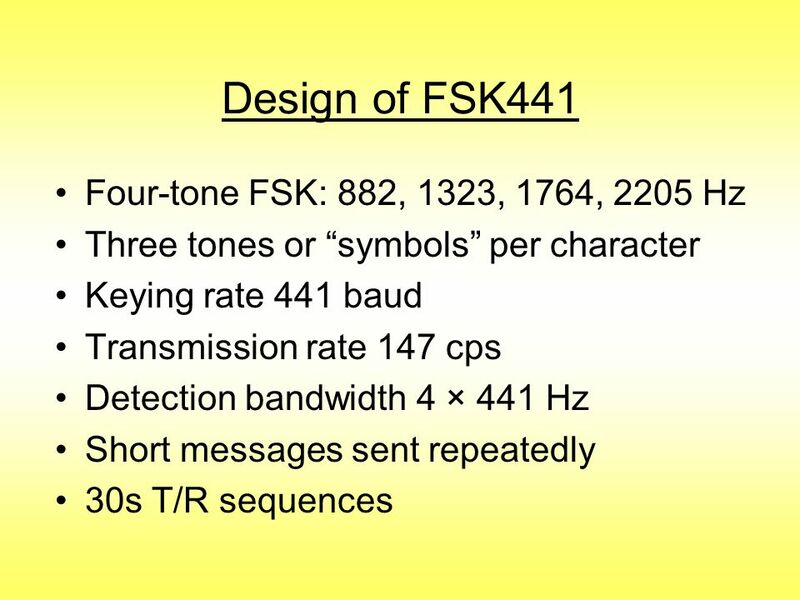 The current modes are classified in sound.